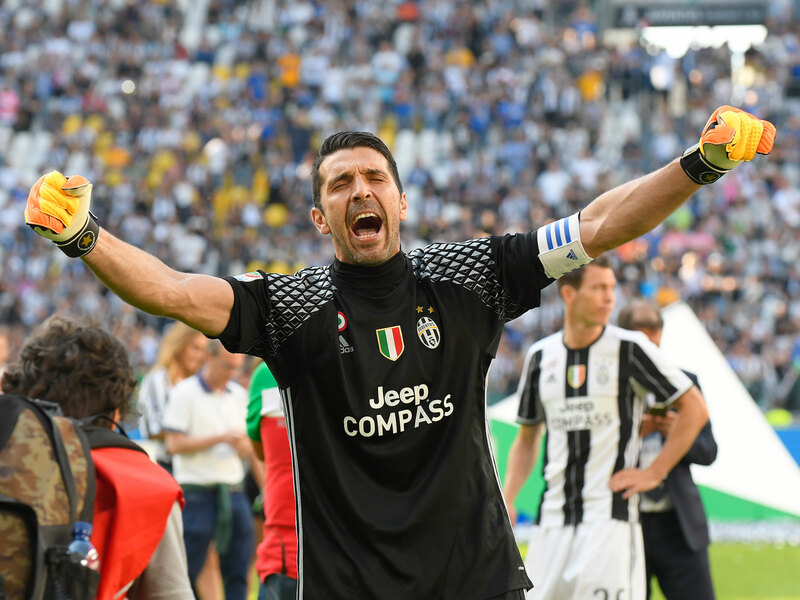 Gianluigi Buffon stopped short of retiring on Thursday and is mulling offers that could write the final page in one of the most storied careers of his generation. Saturday, then, will be an end–but perhaps not quite the end. At age 40, Gianluigi Buffon will play his final game for Juventus as the Italian champion rounds off its season against Verona. He had, as he said on Thursday, intended to retire, but “interesting offers” had come his way, and he is still considering them. That, perhaps, is only natural. It’s not only that Buffon, more than many in the modern age, so obviously loves playing, it’s that every career is in some way refracted through the leaving of it. Had Buffon been retiring for good this weekend, the overriding image of his final season would have been less the fourth consecutive double he won and more his red card against Real Madrid and subsequent disgraceful attack on referee Michael Oliver. Even Buffon now accepts he went too far, although his apology to Oliver was a little self-serving. It seemed still not to recognize the basic point that the game cannot function without a basic respect for its officials, and that his denigration of a referee who had given a penalty decision that was probably correct spoke of a self-entitlement that placed his own desires above the demands of the sport. That, added to Italy’s failure to qualify for the World Cup, would have left a sour taste; as it is, there is now the chance for at least some sort of redemption. After Buffon’s remarkable debut, as a 17-year-old, in a 0–0 draw between Parma and AC Milan in November 1995, much was made of the fact that he was a figlio d’arte, the next in line in a family noted for producing members of a particular profession. That had nothing to do with his parents, though, but was a reference to Lorenzo Buffon, who won six scudetti in the late 50s and early 60s–five with Milan and one with Internazionale–and was a second cousin of Buffon’s grandfather. Buffon started out as a midfielder for a local youth side, Canaletto, and was good enough to play for the age group one year above him. One day they didn’t have a goalkeeper, so he went in goal, returning to his usual berth in midfield for the next match. He made such an impression, though, that 12 months later, the age group two years above him called him up to play in goal for them in a local tournament which they won. He moved from Canaletto to Perticata, a club with links to Inter, and went back into midfield. Then came Italia 90. Buffon was 12, and that World Cup, and in particular the performances of Thomas Nkono, overwhelmed him. For all the rich tradition of Italian keepers, it was the Cameroonian who was Buffon’s model. Such was his respect for Nkono, that Buffon named his first son Thomas. Like Nkono, Buffon was essentially a reactive keeper; he commanded his box and was a fine shot-stopper, but leaving his penalty area never came naturally to him. After ousting Lucca Bucchi as Parma’s No. 1, Buffon helped the club to the Coppa Italia and UEFA Cup in 1999. Two years later, he joined Juve, where even greater success awaited. He comfortably out-performed his grandfather’s cousin, winning nine scudetti (11 if you include the two of which Juve were stripped in the wake of the calciopoli scandal). There were a further five Coppas Italia and, amid 176 international caps, the 2006 World Cup title. Whether he is the greatest Italian goalkeeper of all-time is a matter of taste: there are those who would go for Dino Zoff, Gianpiero Combi, Giuseppe Moro or Valerio Bacigalupo, but he is certainly the greatest of the past four decades, a player who brought passion, style and success everywhere he went. All that remains now is to craft the perfect ending.